Sussex Valley All-Terrain Club (SVAT) is located in the Sussex region of South Central New Brunswick, Canada. We have approximately 200 kilometres of official signed managed trails and literally thousands of kilometres of unofficial trails and back roads for ATV enthusiasts to explore. SVAT Club have been told that we have some of the best trails in the Atlantic Provinces. Monthly club meetings are held the second Wednesday of each month, 7pm at the Timberland Restaurant, 12763 Route 114, Penobsquis, New Brunswick. Everyone is welcome. 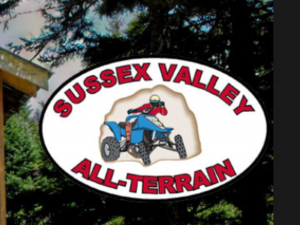 Visit our Facebook Page or SussexValleyATV.com to view our upcoming events.